L'Union française des œuvres laïques d'éducation physique (UFOLEP) is one of the most important sport for all and multisport federations in France. It was established in 1928 with the purpose of setting up popular and civic forms of practicing sport and physical activity. Since its creation, UFOLEP has worked to develop the concept of a human sport service. Taking part in a new umbrella organisation for grassroots sport like ISCA as a founding member in 1995 was significant for UFOLEP, as it allowed it to spread its vision of sport internationally. 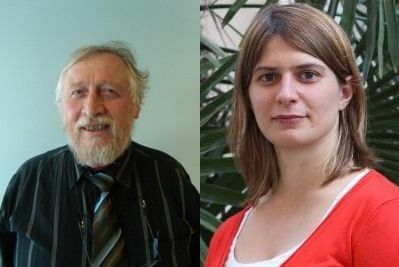 Jean-Claude Besnard, President of the Departmental Committee of Indre and Member of the International Commission at UFOLEP, and Laetitia Zappella, Tasks Officer at UFOLEP, tell us why being an ISCA member has been so valuable to UFOLEP. Until the early 1990s, UFOLEP’s international activities were practically confined to Franco-German exchanges under the guidance of OFAJ (the Franco-German Office for Youth). When DGI presented us the possibility of creating ISCA in 1994, we immediately decided to join this venture. That is why UFOLEP (along with USEP) was among the founding members who attended the first general meeting on 10 February 1995 in Copenhagen. UFOLEP’s president, André Alloppé, Dominique Mifsud and I all joined the meeting. ISCA’s values and objectives fully corresponded to those we believed in at UFOLEP. So we chose to take an active part in ISCA from the beginning, being involved in the Executive Committee and, later, in ISCA Europe. Being a member of ISCA has enabled UFOLEP to weave an international network for itself, mainly at a European level. Many members of our federation have therefore benefited from the bilateral or multinational exchanges through ISCA projects in different countries such as Denmark, Scotland, Italy and the Czech Republic. For several years, the “ISCA Festival” was one the highlights of the year and it raised awareness of the importance of intercultural exchanges in sport for all activities. Personally, I participated in the “RISC”, held in Villeneuve-d’Asq, France in 1999, and the Nemunas festival in Marijampole, Lithuania in 2000. I have fond memories of these great moments. They were grandiose celebrations of sport and culture where people of all ages and origins met and mingled to exchange ideas and practices. They also helped us learn about each other’s differences, when confrontations arose due to mutual misunderstandings. My time in ISCA Europe (its European Committee) allowed me to meet people, to discover different structures and ways of working and to build relationships with partners. This is interesting in itself, but, most importantly, the ongoing meetings and exchanges, implementation of programmes and projects are what benefit all levels of our federation. ISCA plays a key role in the development of sport for all. It allows the dissemination of fair and humanistic ideas through sport and physical activity. Its relations with the European authorities are beneficial for all of its members. It must also ensure that the programmes that it supports and it sets up come in a variety of forms and are applicable to all levels of its member organisations. The MOVE Week and training for trainers and young leaders are among its accomplishments that I regard as essential. For my part, I have known ISCA since my arrival at UFOLEP in 2010. UFOLEP has a vision of sport as being accessible and suitable to all (at both a competitive and non-competitive level). UFOLEP was part of ISCA’s creation, therefore ISCA’s values are fully shared by UFOLEP. What I appreciate about being a member of ISCA is the team’s closeness and therefore their support and responsiveness. Our membership has provided us with help and guidance to understand the European landscape. It has allowed us to be accompanied in our discovery of European institutions and how they operate. We have met similar organisations throughout Europe so we have also been able to discover others’ points of view regarding the notion of sport. Personally, being part of the MOVE Congress’ organisation in Paris in 2011 allowed me to work with the ISCA team and to see how the organisation operates.